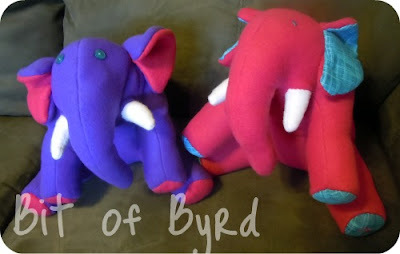 Bit Of Byrd: Finish it Friday- Elly-phants! A good friend from college just recently had an adorable baby girl. To share in the excitement I sewed an elephant and sent it to her. It was a lot of fun to make, I used a pattern from Joann.